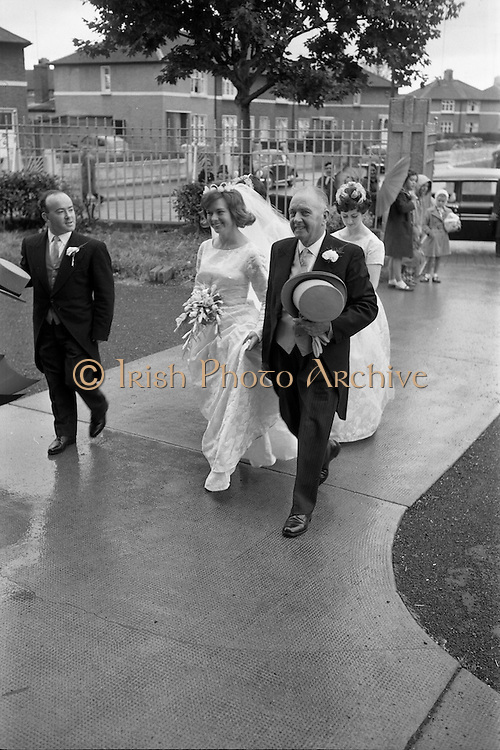 C271 - 1963 Wedding of Frank McKevitt and Frances Emmett. Wedding of Frank McKevitt and Frances Emmett. Mr. Frank McKevitt, 32 Celtic Park Avenue, Drumcondra, Dublin, a prominent member of the Rathmines and rather Musical Society, and a Personnel Executive at Telefís Éireann was married to Miss Frances Emmett, 2. Great Western Square, Phibsboro, Dublin, at Christ the King Church, Cabra, Dublin, with reception at the Claremont Hotel, Howth.